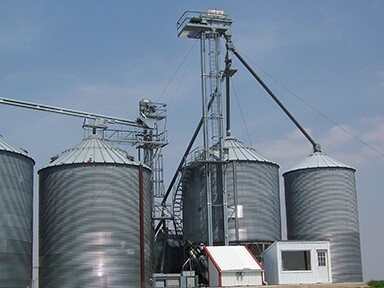 Built for the user, Riley® commercial quality and farm duty bucket elevators offer easy seasonal maintenance, superior safety precautions, and each weld is quality checked for optimal performance. 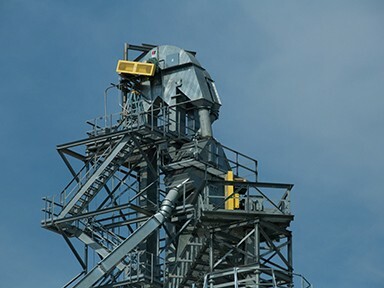 The toughest buckets in the industry ensure maximum durability. 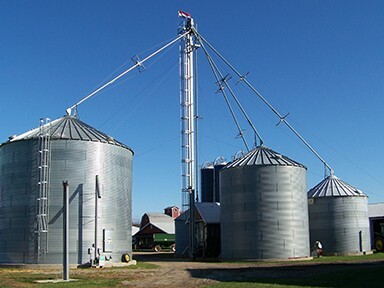 The Riley design offers 4’ tall removable doors on both sides of the up casing for quick installation and maintenance of belting and buckets. 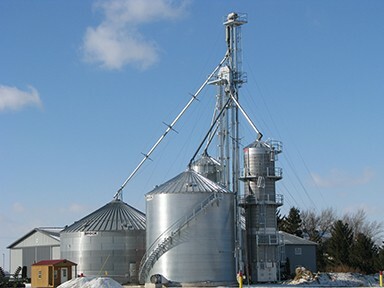 Large, conveniently placed access doors provide seamless inspection and service. 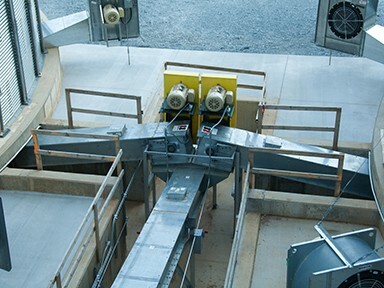 Access doors are located at the boot, discharge and pulley lagging area. 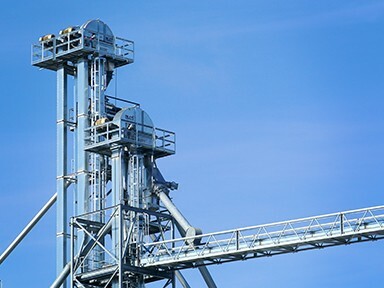 A safety cable is standard on all head access doors. 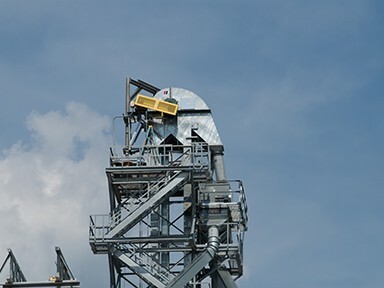 Heavy-duty motor mounts with torque arm anchorage points are standard on all Riley bucket elevators. 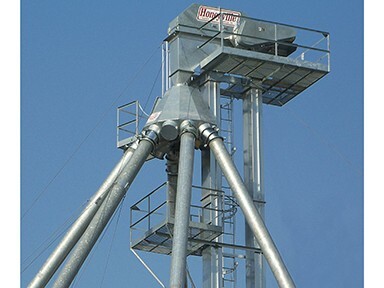 UHMW shaft seals are also standard, keeping moisture out and dust in. 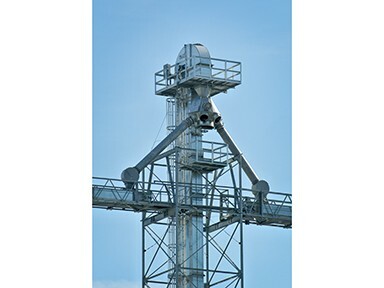 Industry-best hardware and craftsmanship keeps our equipment performing at optimal levels for years on end. 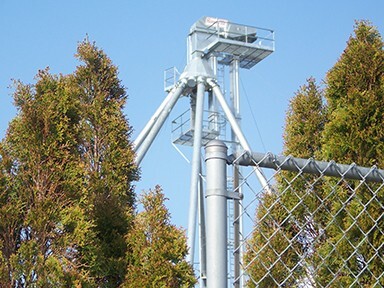 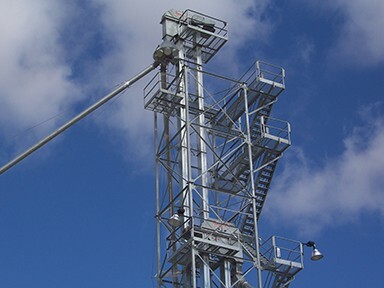 For optimum versatility, our Bucket Elevators are available, galvanized, painted, stainless steel or powder coated, in a range of sizes and capacities up to 60,000 bph, plus custom sizes built to your specific need. 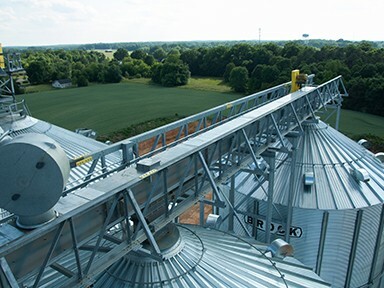 We build our drag conveyors for performance and endurance under even the roughest conditions.Engineered for efficiency and reliability, our conveyors offer key features that extend life and increase productivity—exactly what you need to deliver. 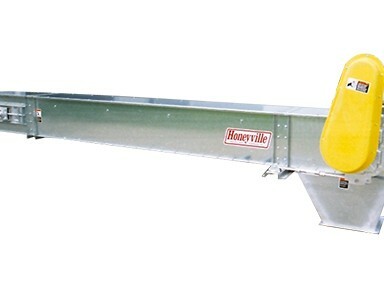 Like fully designed heads and tails for maximum durability, and all-bolted construction on our troughs for superior stability. 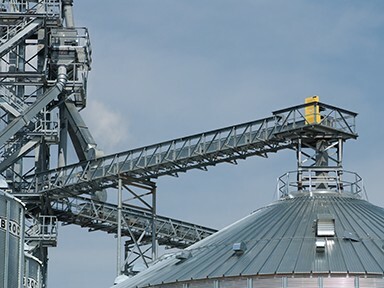 Our tough all-steel chains are designed for maximum workloads, and we install tension type screw take-ups for more durable service. 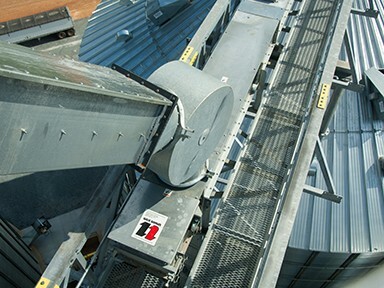 Need a proven reason to buy Riley® drag conveyors? 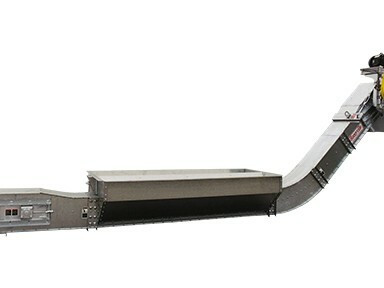 Riley drag conveyors are built to the highest standard. 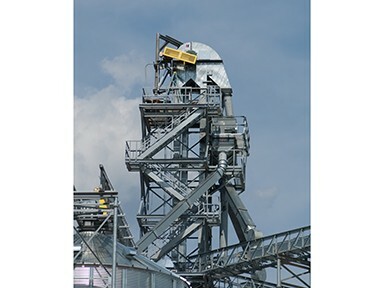 They include pillow block bearings on all conveyors, ½” UHMW flights and grade 8 bolts countersunk on all of our liners. 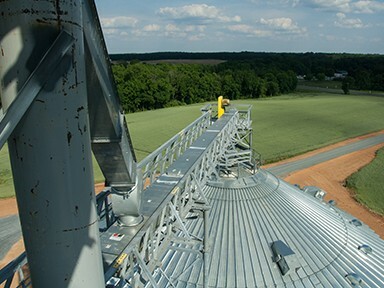 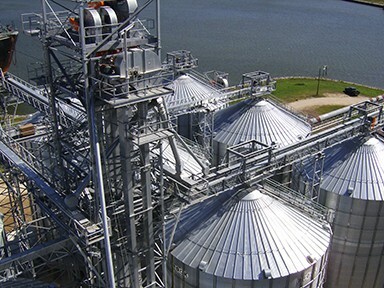 Talk about to us about your grain drying, storage and handling needs!